If your body was trying to tell you something about your health would you know how to listen? Santa Cruz Dr. Rachel Carlton Abrams wants to help you with that. 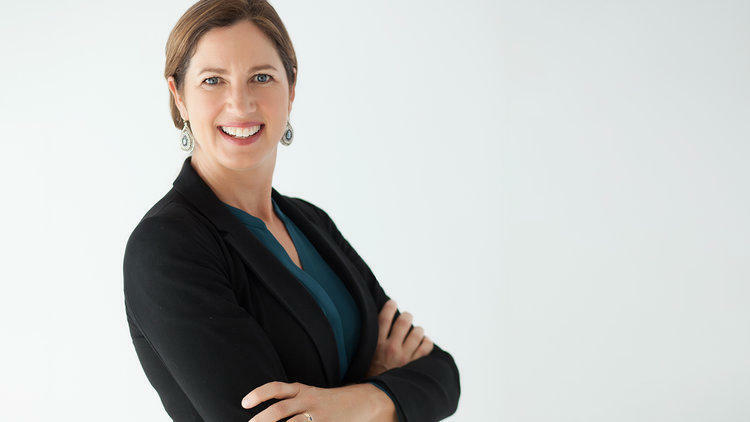 She wrote the new book BodyWise: Discovering Your Body’s Intelligence for Lifelong Health and Healing. I recently spoke with Dr. Carlton Abrams (RA). Rick Kleffel (RK): Why did you call your book BodyWise and what do you mean by that word? RA: Most of us know a lot about IQ, or intellectual intelligence. And some of us know something about EQ, or emotional intelligence. And I'm really trying to get people back in touch with their BQ, their body intelligence. Which sounds sort of funny, because we don't think of our bodies as intelligent, we think of our bodies as being led around by our mind, but that's an illusion, and just simply not true. And our body intelligence, or our body wisdom, is an innate quality that all of us have, and that really guides us to our health and well-being. And when we're not listening to our body intelligence, we have all the things that people in the modern world suffer from. RK: You write that, “Becoming body wise consists of developing body intelligence at four different levels.” What are these levels? RA: The First one is measure: things like blood pressure, weight, etc. The second one is sense, and that's really paying attention to the physical sensations of your body. Where they are. What they feel like. What's the quality of the sensation? When does it come? When does it go? That kind of thing. Feeling, feeling here is really important. And then that last step, discernment. I realize my body is speaking to me, but it's speaking to me about a change that I need to make for my better health. So we are treating the physical, but we are also addressing the context and listening to the story that the body is trying to tell us. RK: You emphasize the importance of patients asking themselves right questions, for example? RA: What are the tests you would want to think about? What are the lifestyle things that can cause that condition? How would we address it with diet? How would we address it with sleep or exercise? What kind of supplements might be useful to try? And how can you use your body intelligence to assess each one of those methods and find success? I mean, I could tell you stories from my practice that almost feel like magic because really terrible things get reversed, and sometimes completely reversed, in a way that seems miraculous. RK: But you're not talking about miracles. This is a way of seeing the patient as not just the problem, but also the solution. RA: The steps are not miraculous. It's actually very practical. And it doesn't even take a doctor. I want to hand that power over to patients, over to people, so that they can really to some degree be their own physician and when they need medical help, can go to their doctor armed with more information and more self-knowledge. RK: What are the five fundamental things that everyone needs? RA: It's eating, sleeping, moving in some way, love and connection and purpose. And the purpose part was really interesting for me because I knew a lot of the research on love and community. They're fundamental to our well-being. More important than what you eat, more important than whether you smoke cigarettes for your health, for your heart health, your stroke risk, dementia risk, is whether you have love in your life. And purpose doesn't have to be a big fancy thing. You know, your purpose could be I am the person who feeds and takes care of my dog and brings in the mail for my neighbor. It can be simple things, but it's a sense that you’re being in the world makes a difference. 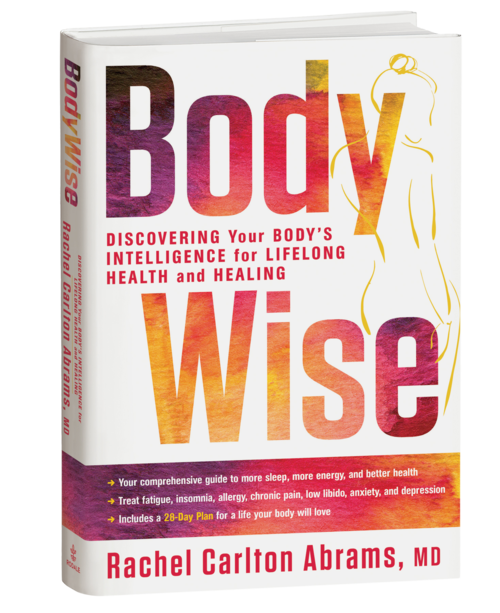 RK: The new book by Doctor Rachel Carlton Abrams MD is BodyWise: Discovering Your Body’s Intelligence for Lifelong Health and Healing. For KAZU, I'm Rick Kleffel.